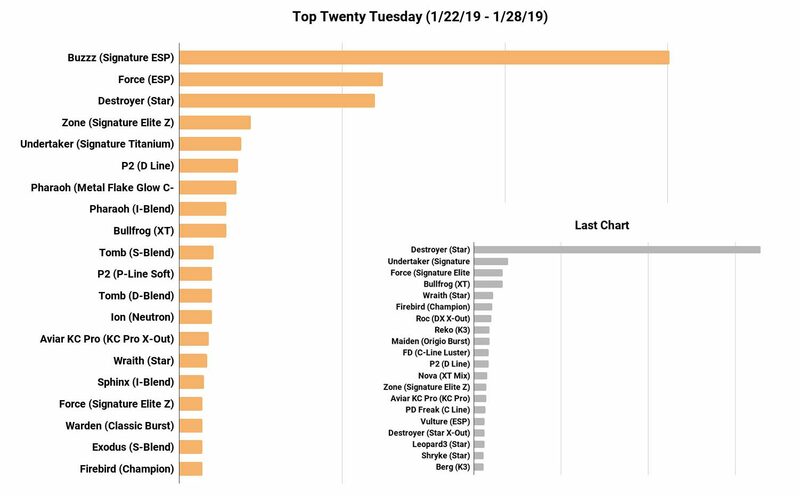 The first thing you may notice on this week’s chart is that the Star Destroyer finally fell from the top spot. Yes, that happens from time to time, but it was crushed this week by the Signature Paul McBeth ESP Buzzz which, once restocked, sold like crazy. Other McBeth signature discs remain on the chart as well, including his signature editions of the Zone, Undertaker, and Force. Speaking of the Force, Infinite Discs put out a custom stamped edition on beautiful ESP plastic and it made a strong jump to the #2 spot. That left the Destroyer at #3. Infinite Discs brand raided the chart this week due to a sale that ran for a few days last week. The Pharaoh took two spots in two different plastics as well as the Tomb flat-topped putt-and-approach disc taking two spots. 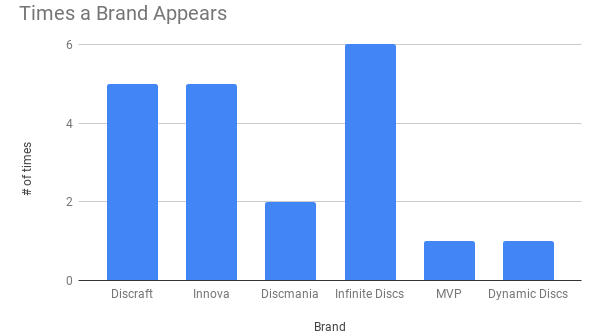 In fact, Infinite Discs brand led the way in number of times appearing in the top 20 with Discraft and Innova tying with 5 spots each. WINNER – The #20 spot is a hard one to pick, and it looks like nobody got it this time. Nobody guessed Champion Firebird as the #20 spot. I saw that somebody guess Neutron ION which is a valiant guess considering it had a special edition come out this last weekend, but that release pushed it beyond the #20 spot. Hopefully we get a winner next week! GIFT CARD PREDICTION FOR NEXT WEEK: Leave your comment below this blog to predict the #10 spot for next week’s chart. I blend Pharoah drops to 10. My choice for #10 is an S-Blend Tomb. I’m going to try it myself this week end!